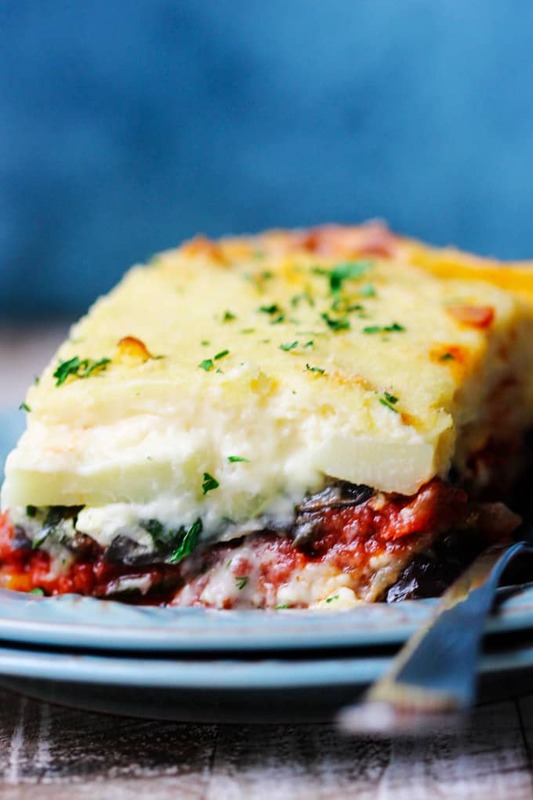 Vegetarian Moussaka is a classic Greek dish that it’s packed full of flavor and textures. Layers of eggplants, zucchinis, spinach, feta, potatoes, and tomato sauce with a hint of cinnamon and cheesy béchamel, marry together to create an unforgettable experience. So delicious! 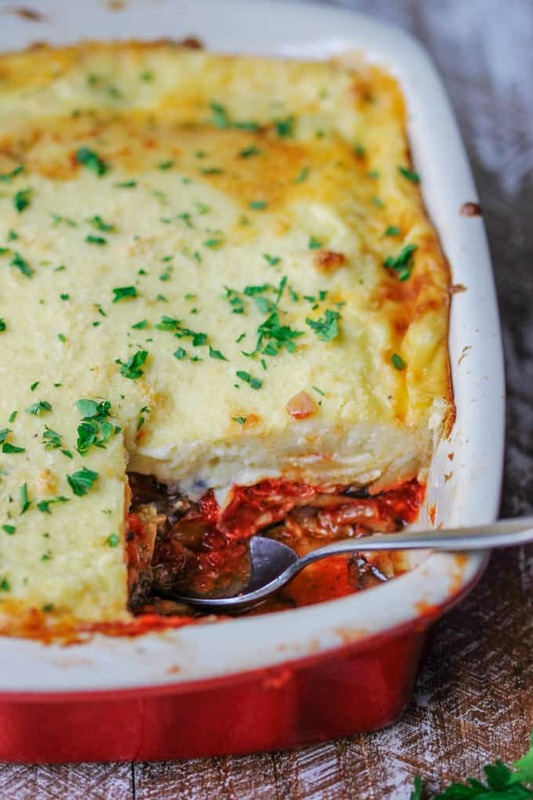 The classic Greek Moussaka contains a layer of meat that is incorporated directly into the tomato sauce. The traditional meat used is either ground beef or lamb. 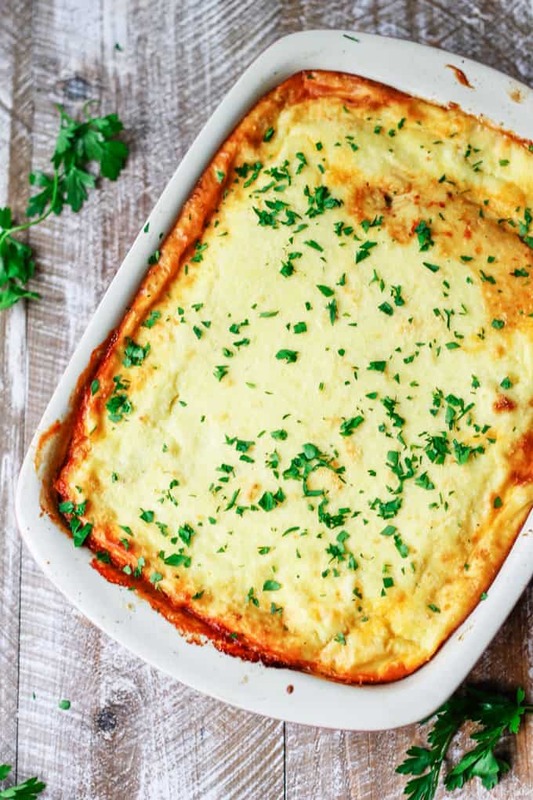 However, recently I’ve been trying to eat less meat and incorporate more veggies into my diet, and this is why I decided to give this vegetarian moussaka a try. Mind you my husband is a total carnivore and it’s a challenge selling him on the “Meatless Monday’s” bandwagon. But there is one exception to his line if I serve him eggplant, he willingly relents. For instance, this Slow Cooker Eggplant Lasagna or this Turkish Inspired Eggplant with Feta are both vegetarian dishes that I can serve for dinner without a complaint. So, I made this vegetarian moussaka and he was speechless. This dish is so delicious and so filling that there were absolutely no complaints about the deprivation of meat. Even my 19-month-old toddler loved it! I’m not gonna lie, this is not one of those easy, dump-everything-in-one-pot’ types of meals. It requires some extra loving, but it is totally worth it. The result is outstanding, and you’ll be very proud of yourself after you take this beauty out of the oven. And I can bet that your family will request that the recipe finds its way to the heavy rotation. Well, don’t be intimidated, I’m going to show you the step-by-step tutorial below. 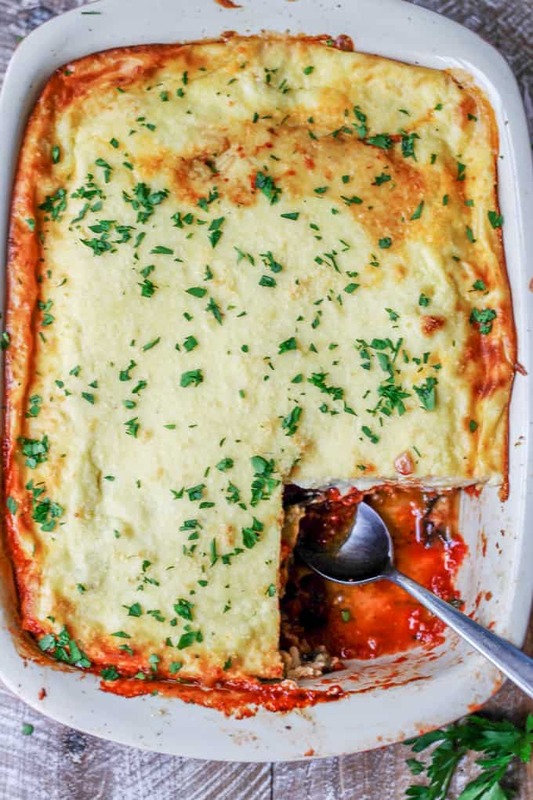 What is needed to make this Vegetarian Moussaka? 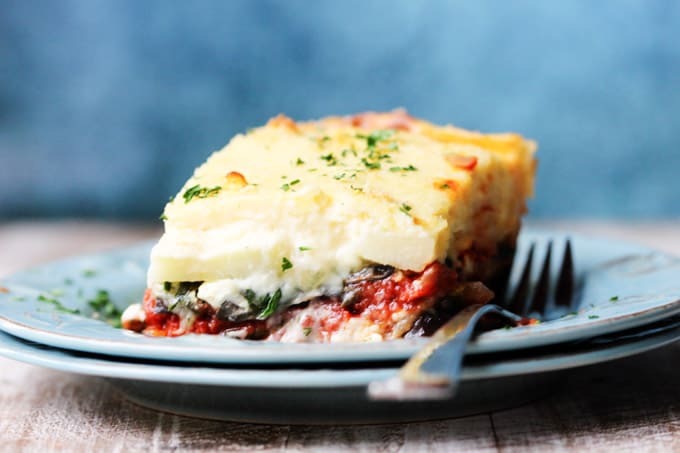 Without further ado, let’s get right to it and I’ll show you what’s needed to make this awesome Vegetarian Moussaka and how to make come out perfectly every time. This recipe requires a number of steps, so be sure to review them carefully first before you start cooking. The list is long, but you may have most or all these ingredients in your pantry or fridge already. Obviously, this list is long, but you may have most or all these ingredients in your pantry or fridge already. If not, seeing the above list may help keep you with your organized with your grocery shopping. 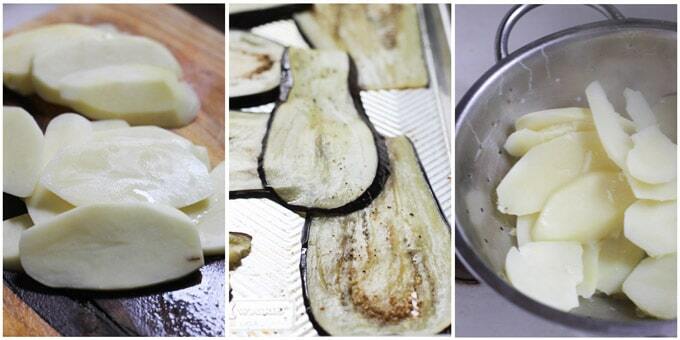 Here is a list of tools that are needed to make this Vegetarian Moussaka. 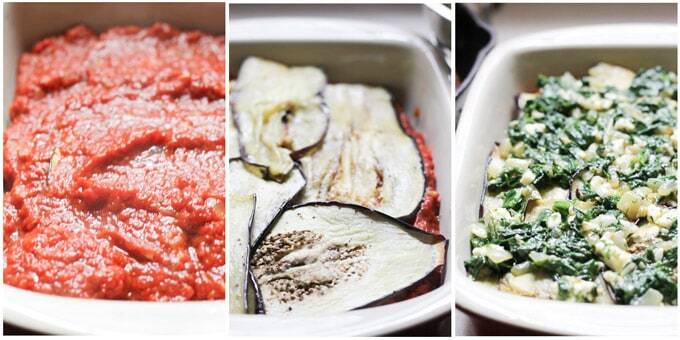 To assemble the vegetarian moussaka you will need a 9X13 Casserole Dish (affiliate link). 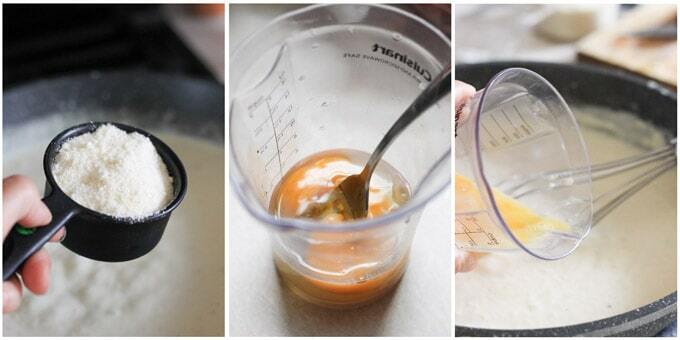 For exact measurements, ingredients, instructions, and nutritional information please see the printable recipe below. 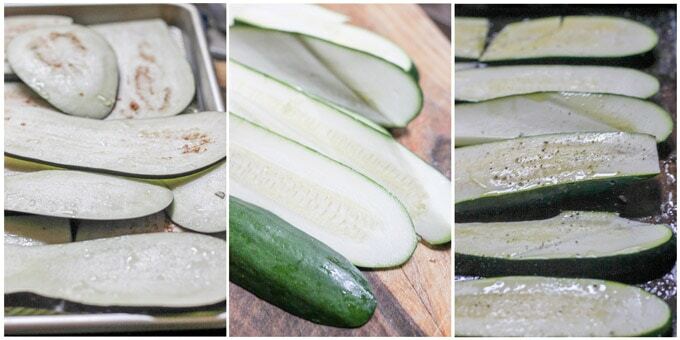 This tutorial is meant to show you visually how this dish is prepared. 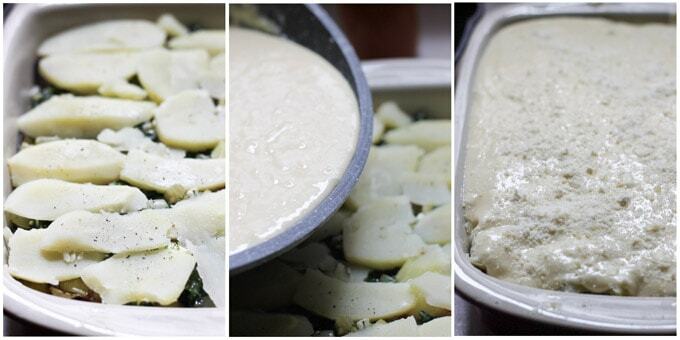 Peel and slice potatoes and cook them in the boiling water until fork tender for about 10 minutes. 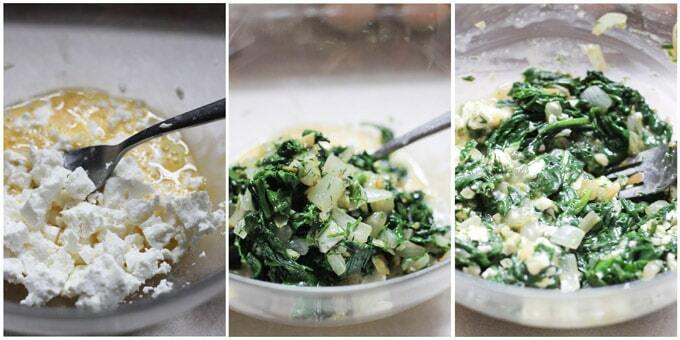 Once the spinach mixture is cooled, add it to the bowl, mix everything together and set it aside. 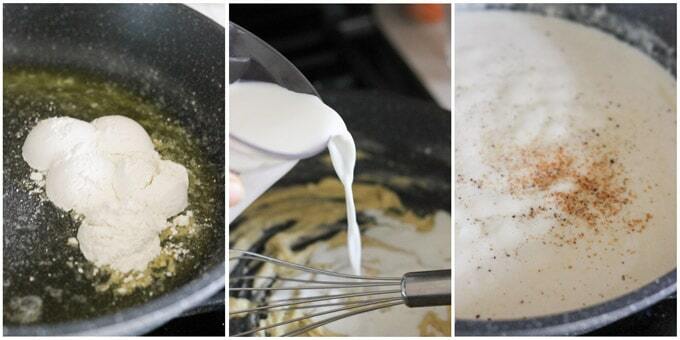 Beat 2 eggs and 1 egg yolk and add them to the béchamel sauce, mixing thoroughly. Let it cool off for about 20 minutes before serving. Enjoy! 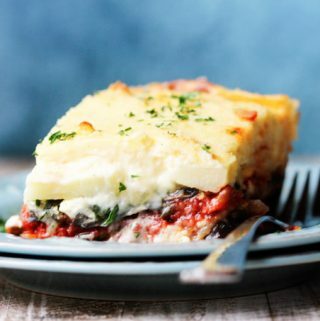 This Greek vegetarian moussaka is a complete meal by itself. It has veggies, starches, cream and, cheeses. It’s full of both flavor and nutrients. I serve it as a vegetarian main dish and because of all the veggies it didn’t even require a side salad. But here are a couple of suggestions if you want to take it up the notch. 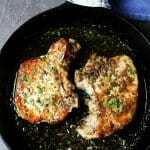 If your eater absolutely requires meat, then you can serve it alongside some easy oven-roasted chicken legs. You could also make some tzatziki on a side; (it’d go really well with this dish). 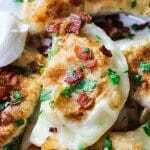 I hope you will like this recipe and make it often. Enjoy! 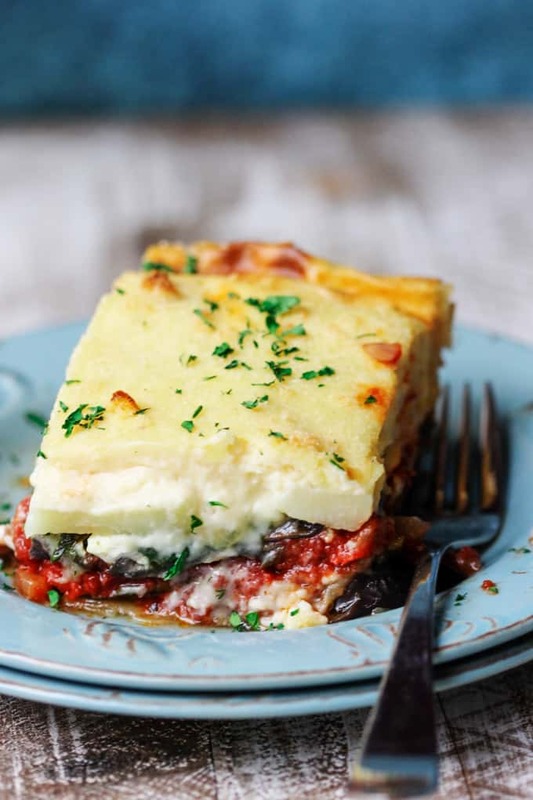 Vegetarian Moussaka is a classic Greek dish that it's packed full of flavor and textures. Layers of eggplants, zucchinis, spinach, feta, potatoes, and tomato sauce with a hint of cinnamon and cheesy béchamel, marry together to create an unforgettable experience. So delicious! Then add fresh dill, salt, and pepper and set aside to cool off. 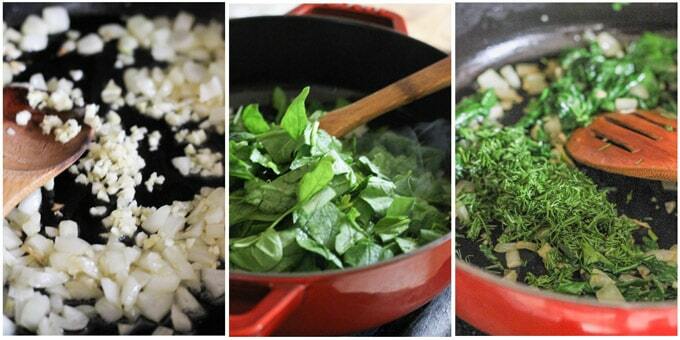 This would be the time to adjust seasoning, but be careful with the salt as feta will add some saltiness to this mix. Adjust seasoning (salt and pepper) as needed. well this is right up my alley since I dont eat meat and I love how this sounds all veggie. I must try this ASAP !! great fall meal! Thank you Claudia. I hope you will like it! Perfect! I hope you will like it. I love Moussaka! The only time I made it though it turned out horribly so I’d love to try it again!!! Try it and let me know how you liked it! 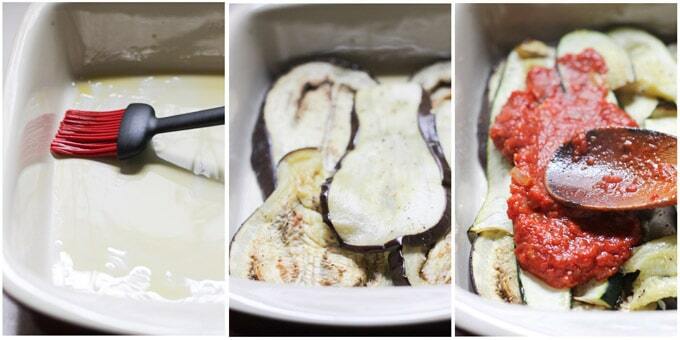 I have been wanting to make moussaka for a very long time. Never made it before. I think I have found the perfect recipe to try!! After seeing this moussaka earlier in the week I made it for my family last night. Oh, it went down well – we all loved it! Though there were lots of different parts to pull together to make this recipe, you instructions were completely clear and simple to follow. 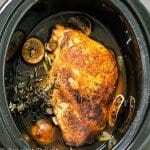 It was a total delight – thankyou for this great recipe. Thank you Jane. I’m so happy to hear this. 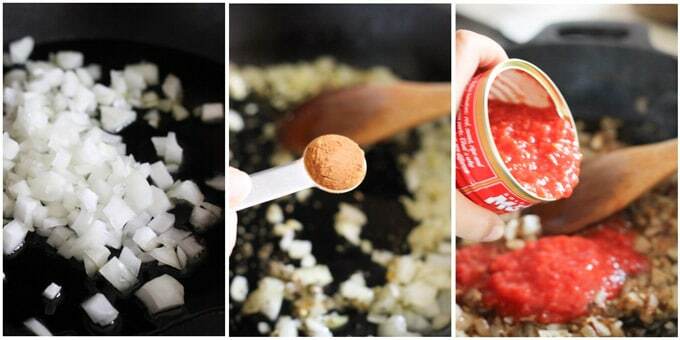 Love this, but add a layer of lentils with the tomato sauce for more protein.